Why do they hate us? It’s a question that has popped into every vegan’s mind at one time or another. Is it because we brag about our size 0 jeans? Is it because we call ourselves things like “ethical vegans?” Or is it because it because we tell proud Prius owners that they could have done a lot more for the environment if they’d just switched from burgers to rice and beans instead of spending nearly $30,000 on a new car? Or is it because we say things like, “How’s that corpse taste?” Or do they slaughter gluten? When you’re trying to find out why you, Mr. or Ms. Vegan is so thoroughly disliked, it’s important to look at who’s doing the disliking. When it comes to dislikers, the list is long. Here are some of the usual suspects. Your minister, your doctor, your spouse, other family members, your friends, your waitress or waiter, your dentist, your boss, your co-workers, your teachers, the mailman, the person standing behind you in the grocery store, random salespeople, your personal trainer, anyone on the road who can see your bumper stickers, anyone who invited you to their Thanksgiving turkey dinner, anyone who ever lived on a farm, anyone who’s into backyard or front yard chickens, anyone who does medical research, anyone who wears leather cowboy boots, anyone who gets all their information from television and/or Family Circle magazine, anyone who used to be a vegan, anyone who relies on Chinese medicine, anyone who owns or works in an ice cream store, a cheese store or a meat shoppe, anyone who’s a hunter or a gun-owner, anyone who’s proud to be a Texan and any animal eaters on your Facebook. Chances are as soon as you step out your front door, turn on your computer or even as soon as you wake up you’re likely to meet someone who can’t stand you because you’re a vegan. Even other vegans have been known to dislike vegans! So the basic question remains: Is it them, the carnists, i.e. the animal food lovers or is it you, the vegan? Of course it’s them! But because “them” is probably not reading this post, we’ll focus on you. What have you done to help create this sorry situation? A situation that is not helping the environment; not helping anyone’s health, mental or physical; and not helping factory farmed animals. There are SOOOOO many annoying and/or infuriating things we vegans do on a daily, if not hourly basis, it’s hard to know where to start. 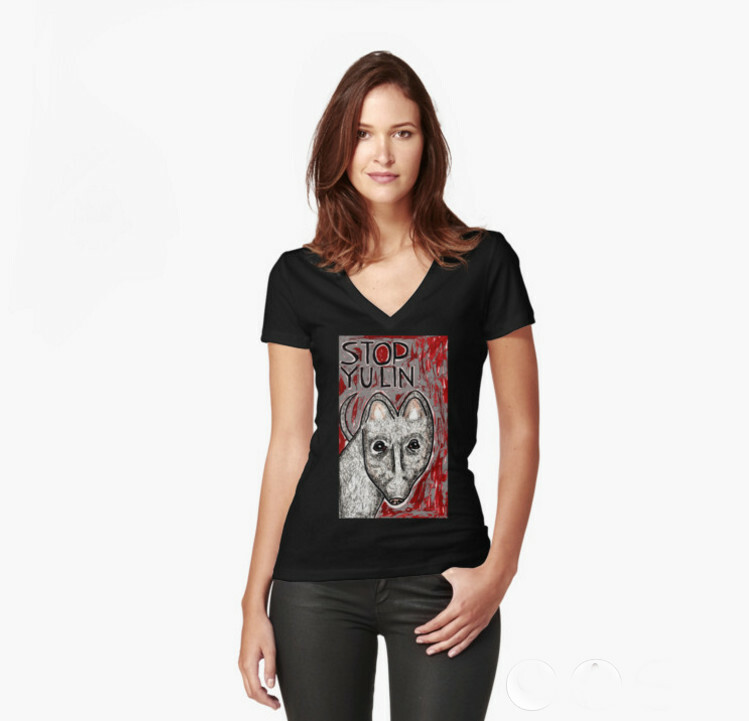 Check out more T-shirt designs at Red Bubble.